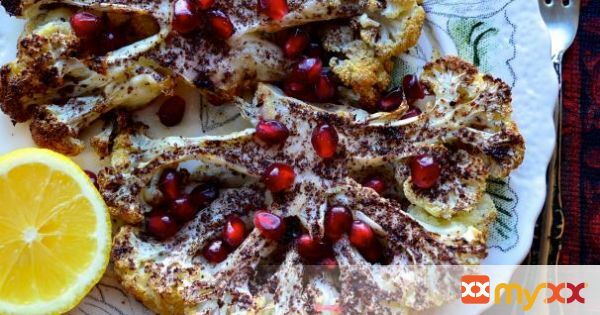 Roasted cauliflower steaks dusted with tangy sumac, pomegranates arils add crunch and sweetness. Perfect vegetarian side dish. 2. Brush both sides of each cauliflower steak with olive oil and sprinkle both sides with salt. Place cauliflower slices on lined baking sheet and sprinkle with sumac.